Perfect for the wine lover, get a fabulous pour that is easy and controlled without a mess! This stylish device not only pours without drips but keep beverages fresh with a simple flip. It is also great for use with oils and vinegars and backed by a five year limited warranty. 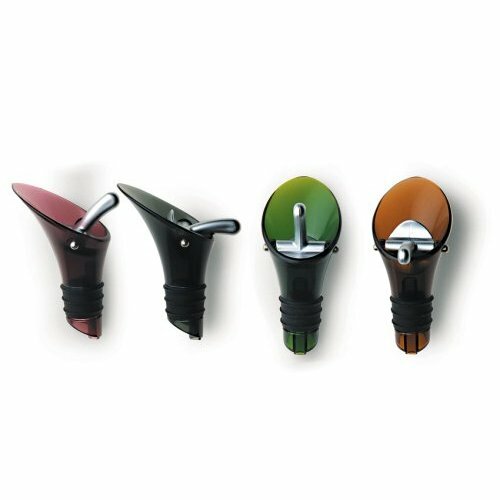 Please Note: You are purchasing ONE wine pourer/stopper with the color chosen at random. Color may be purple, black, green, or orange.